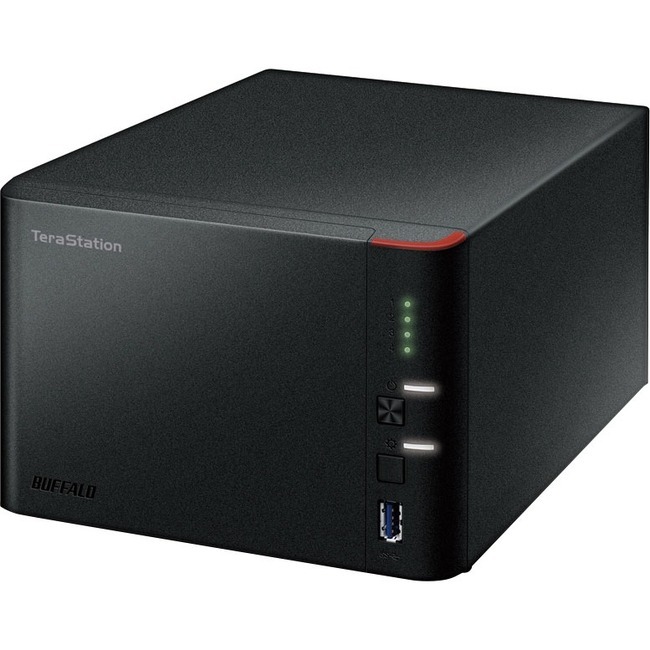 Buffalo Technology's TeraStation 1400 series (TS1400D) is a four bay storage solution with advanced business features and a strong Dual Issue CPU: perfect for SMB users in need of extra-large capacity and ready to migrate to Network Attached Storage or expand the capacity and features of their existing storage solution. Users will be impressed with the TS1400D for its business-class feature set and available capacities up to 16TB. The TS1400D is ready for intensive data storage tasks: users can choose from multiple levels of RAID support (0/1/5/6/10/JBOD) for customised capacity and redundancy according to their specific needs. 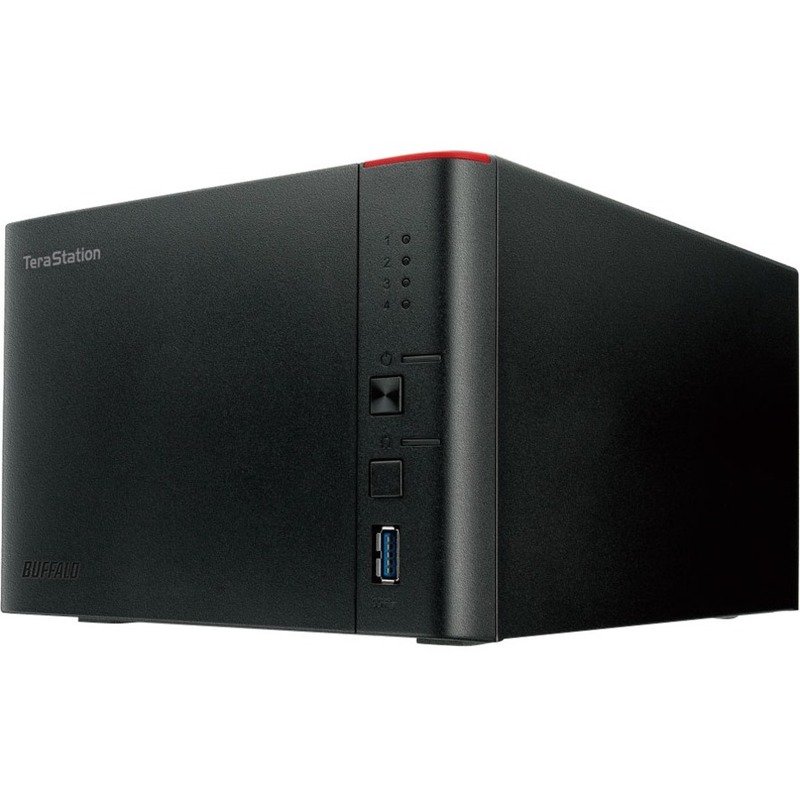 The TS1400D is equipped with the Marvell Armada Dual Issue CPU processor with 512 MB of DDR3 RAM bringing together Buffalo's high performance hardware and architecture and delivering them in a cost-effective solution. 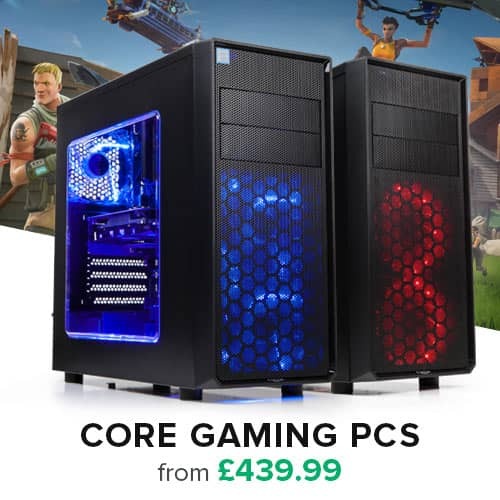 Want more protection? 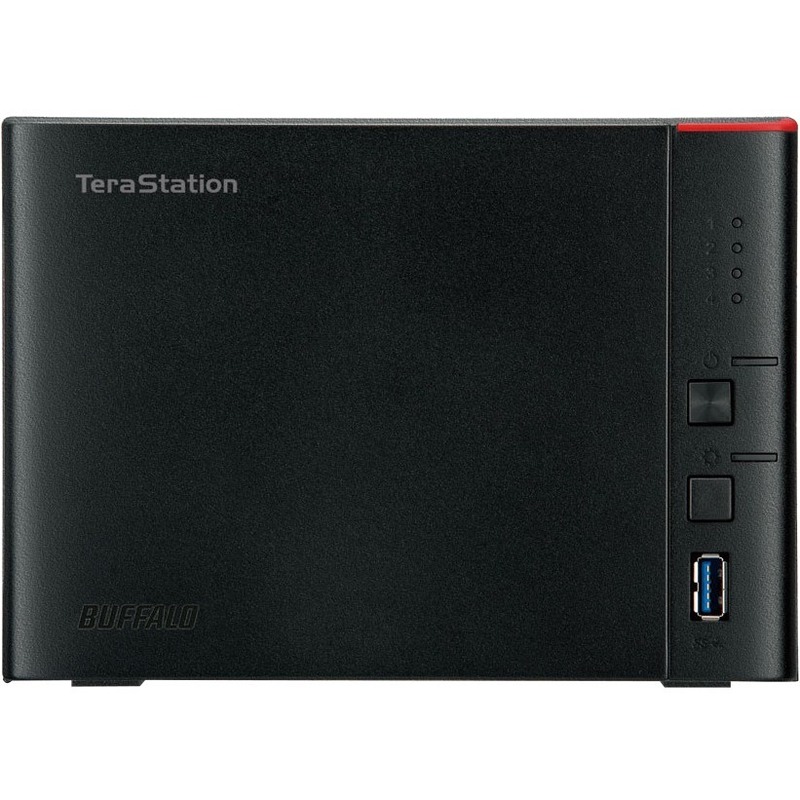 The TS1400D also comes with 10 free NovaStor® NovaBACKUP licenses. 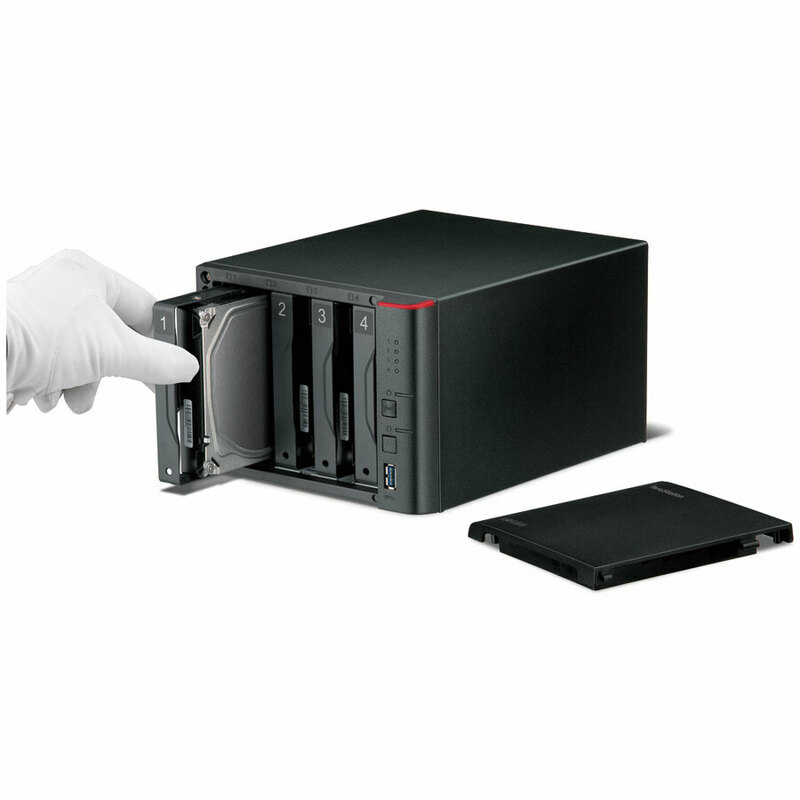 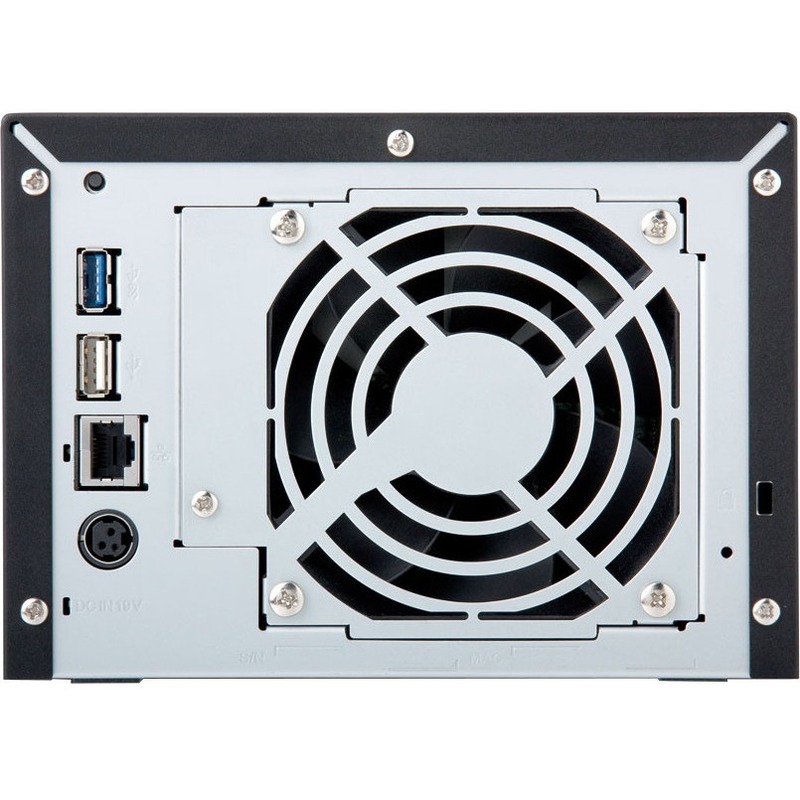 The TS1400D is available fully populated with 4, 8, 12, or 16TB capacities.